The Army Corps of Engineers says the work to clear out a navigable channel to the river's mouth will start in mid-December and last about three months. SACO — A $3.93 million project to dredge the lower Saco River is set to begin later this month. It’s the second half of a federal navigation project authorized by Congress to clear out the river channel from downtown Saco to where the river meets the ocean. Last year, the Army Corps dredged part of the channel’s upper section in a project that cost just over $4 million. H&L Contracting, Inc. LLC, of Bayshore, New York, has been awarded the contract to dredge the lower portion of the channel, the Army Corps of Engineers said in a media release. The work is scheduled to start in mid-December and last about three months, the Army Corps said. “The project consists of hydraulically dredging a portion of the federal navigation channel at the mouth of the Saco River, which includes an 8-foot-deep entrance channel and three 6-foot-deep anchorages,” said Craig Martin, project manager of the corps’ New England District based in Concord, Massachusetts. About 41,000 cubic yards of required dredging, with another 36,000 cubic yards from 1 foot of allowable over-depth dredging, would bring these areas back to their authorized dimensions, Army Corps officials said. Sand from the mouth of the river will be pumped about 8,000 feet north as beach replenishment at Camp Ellis in Saco. There is also a contract option to mechanically dredge a portion of the 8-foot-deep channel and 6-foot-deep maneuvering basin close to downtown Saco, Army Corps officials said. This would remove about 35,000 cubic yards of sand that would be deposited in a midriver scour hole that was used in last year’s dredging project. 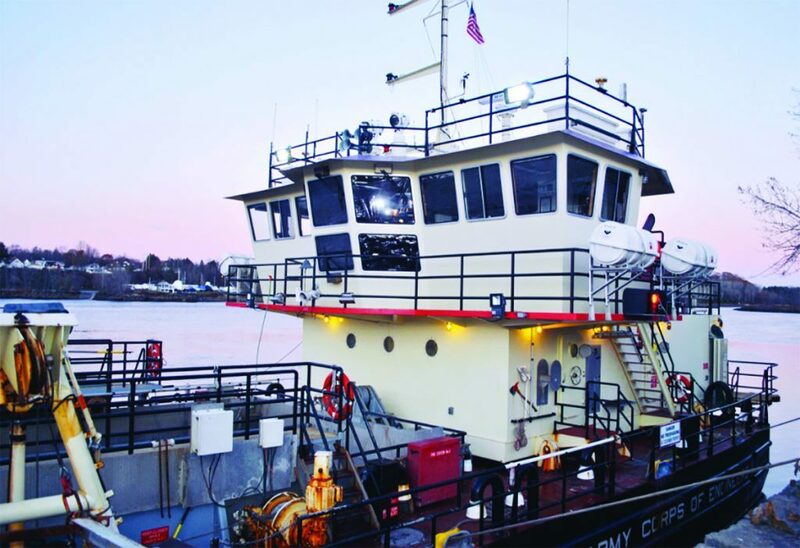 The Biddeford city website said that all recreational and commercial vessels were to be removed from a section of the Saco River to prepare for the dredging, and mooring permit owners have been asked to move their moorings near shore during dredge operations.